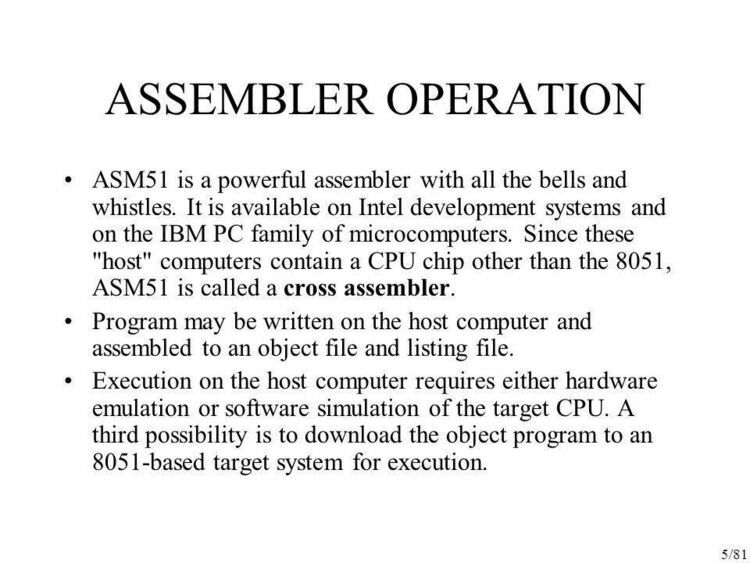 Cross assembler -> Intel 8051 family. directive, and expression operator syntax will in general differ. with the multitude of OEM assemblers. attention to the expression and directive syntax descriptions. Thank You for using PseudoCode products.